Incredible Value for money. If you’re on the fence just buy it, you won’t regret it! Monoprice Select Mini V2 – Is This The Best Value For Money 3D Printer? Sturdy! The Monoprice Select Mini is mainly sheet steel construction, it’s kind of basic but in a satisfyingly industrial way. You’ll see there’s been no effort made to hide bolt heads. However, the important moving parts are well covered to avoid damage or injury. It looks like it belongs in a lab with a white coated technician operating it. Despite my mocking I actually like it and I’m pretty sure science lovers will too! The full-color screen is very impressive and by far the clearest I’ve seen on any sub $1000 printer, it isn’t touch screen but it does have a nice tactile clicky wheel next to it all mounted on fancy brushed steel plate. Note this printer doesn’t come with any filament. Some stores state that it comes with a sample filament but this is just enough to do a quick test and not really enough to build any model with. So you’ll need to factor in a further $25ish for a 1kg reel of PLA filament. The good thing about this printer is you’re free to use any brand of filament so you can shop around for the best value, I recommend Hatchbox filament. No instructions were included in the box so I had to find a pdf on the Monoprice website (for reference you can find them here). The manual says it comes pre-calibrated but user reports suggest you will need to do some tweaking to the build plate to get it level. This isn’t a difficult process it’s just a bit tedious and is definitely something that will need to be done by someone with a little mechanical know-how. Feeding the filament is little fiddly (much like this sentence!). It’s not hard it’s just not easy to tell once you’ve done it successfully. Cutting the end of the filament at a 45° angle can help. Monoprice recommends using Cura, Repetier, Replicator-G or Simplify3D printing software, which is astonishing compatibility. All are highly regarded and someone used to computers will have no problem navigating their way around an of them with some practice. Personally, I’d recommend Cura as it can prepare parts for you or give you complete manual control and everything in between. Being able to use third party software is one of the big benefits of the Select Mini as it opens up a whole world of advanced settings and CAD model preparation that is really no different to what is done in industry. The Select Mini is fairly loud. I’d say you will really need to be able to keep it in a room that you can walk out of and close the door on. It does have an SD card slot and I’d definitely recommend that you transfer files to it in this way so you can keep your computer/laptop separate from it while it builds away, the large color LCD screen makes this a doddle. 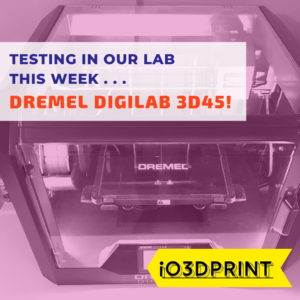 The test part was built quickly and with no problems, the quality is very good and with a few tweaks to the build file could easily be improved. The build speed is a little on the slow side but this is because the Z-resolution is quite high so is the price you pay for a quality part. Because there’s so much freedom in the software you can play around with this and other settings to reach whatever compromise between quality and speed you think is good. When looking at the quality of parts built by 3D printers, most of the differences are because of the software used, the real art of 3D printing is in the preparation of CAD models (STL files) to turn them into parts. Where the Select Mini excels is in giving you so much freedom in software choice that you can learn the real skill of 3D printing part preparation and you can learn how to produce very high-quality parts. The scroll wheel takes a little getting used to. It has a tendency to sometimes move to a different menu when you don’t want it to or go the opposite way to what you want, not a major concern but more of a quirk. Although the Select Mini does have everything you need to print in ABS, it will take a lot of effort to be truly successful. 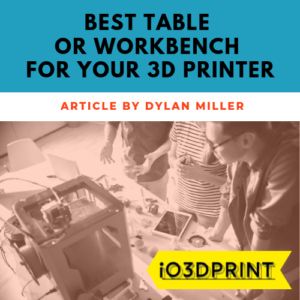 The main limitation is the lack of an enclosure around the printer. Because ABS is a slow setting material it needs a very stable environment in terms of temperature and humidity to prevent deformation whilst it cools. If you really want to print in ABS on the Select Mini you should think about making your own enclosure. Also, the Select Mini has a max build plate temperature of 140°F but ABS really needs something closer to 220°F. 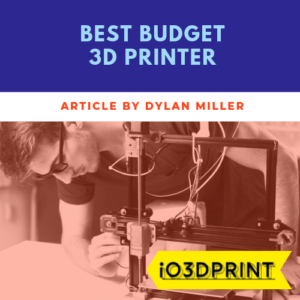 None of this should undermine the quality of this printer when using PLA material, I would suggest thinking of this as a PLA only printer and for that, it is a massive bargain. If you’re looking to buy a first 3D Printer for you or your family don’t look any further than the Monoprice Select Mini. It is outstanding value for money at around $200. This printer has its quirks but nothing that would make you regret buying it. 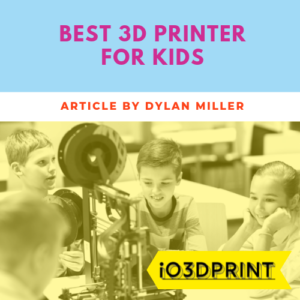 If you or your kids have shown any interest in engineering and you have just the smallest amount of practical ability to fix the odd thing that might go wrong then this printer is a winner. Engineering is about solving problems and this 3D printer is a tool that allows you the power and freedom to do just that, and I’m confident it will turn almost any curious mind into a fully fledged Additive Manufacturing Engineer. Bargain of the year!